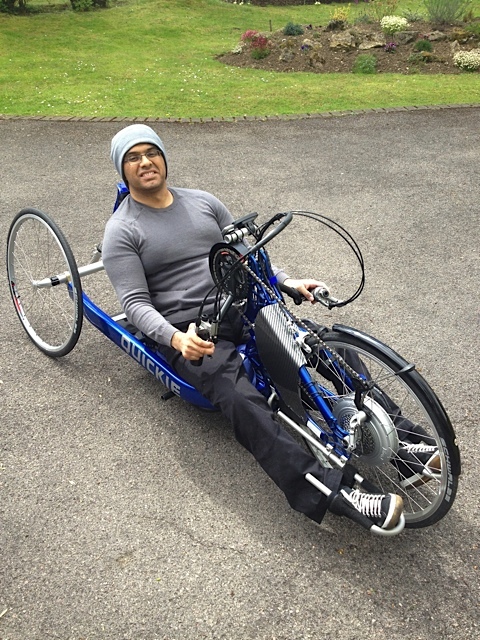 We recently helped our client Faisal turn his standard recumbent trike into an a Bionx powered recumbent trike. 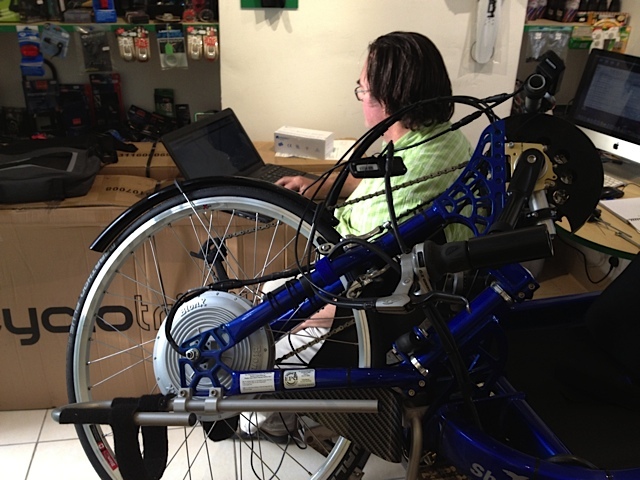 Faisal opted for a BionX retro fit because of its powerful hub motor & large battery options. 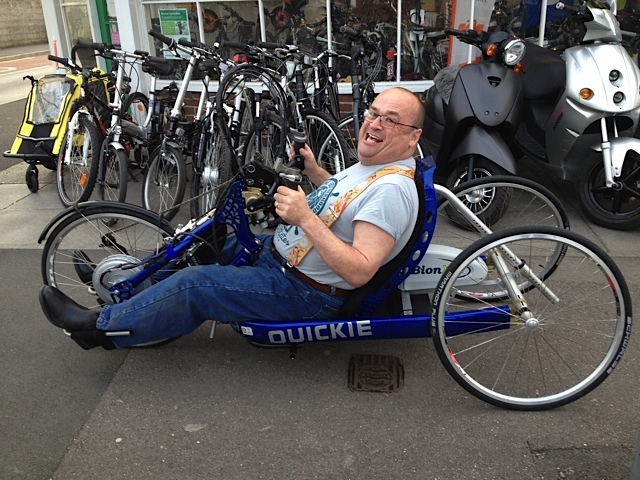 We’re very pleased with the results, as is Faisal in the photo below! 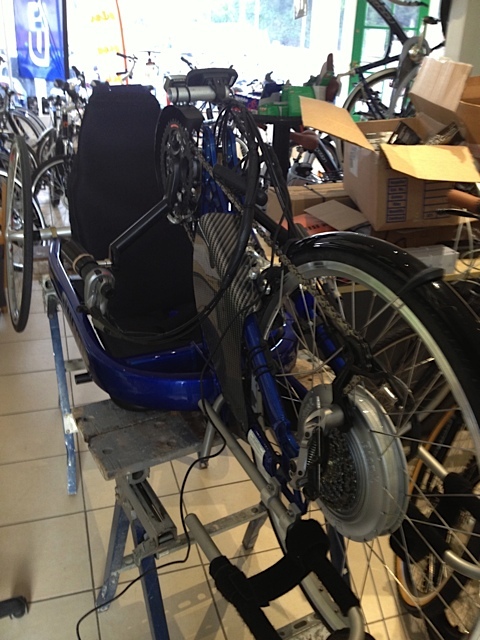 If you have a bike, trike or recumbent trike that you’d like us to retro fit with an electric kit on then please get in touch with us! 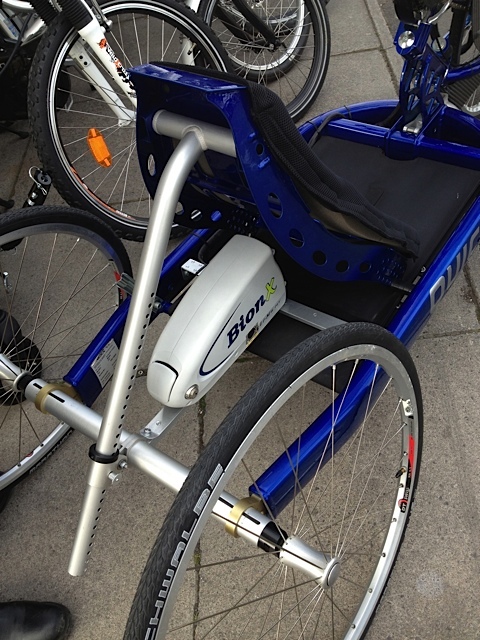 This entry was posted in Custom Electric Bike and tagged Bike, BionX, custom, E-Bike, E-Motion, Ebike, electric, fit, Pedelec, recumbent, retro, Swindon, trike by James. Bookmark the permalink. I have a ice recumberance and would be interested in are trio fit motor. Please cold you give me an idea of cost? Hi Tim. Sorry for the slow response. If you drop us an email or give us a call, we’ll gladly provide you with a quote.